This is a full gas side tank plug assembly for Firestone kegs. 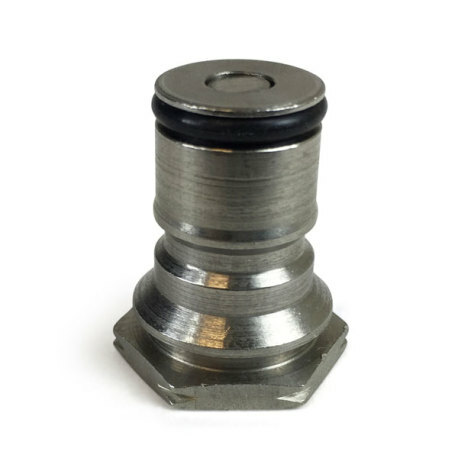 This tank plug assembly will fit Firestone Challenger V, Challenger VI and Super Challenger model kegs. It consists of the tank plug, a poppet, and an o-ring for the tank plug. If you need a gas side tank plug assembly for one of these three Firestone model kegs, this is the assembly for you!